One-hour tours are offered any day of the week at 7:00 am, 8:30am, and 10:00 am. A custom time can be arranged. 7 am is the best time to see the true spirit of the market. 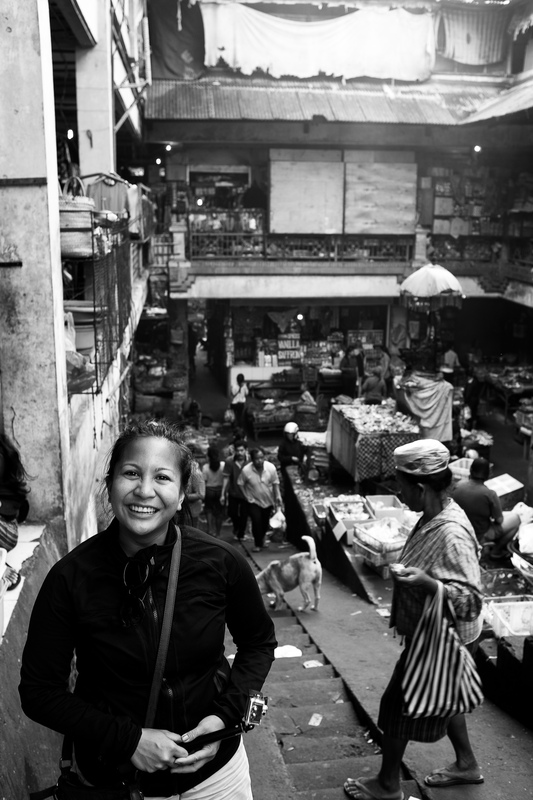 8:30 is transition time where the market transforms from a traditional pasar to souvenir shops. 10 am is perfect to capture the colourful tourist scene in full swing. 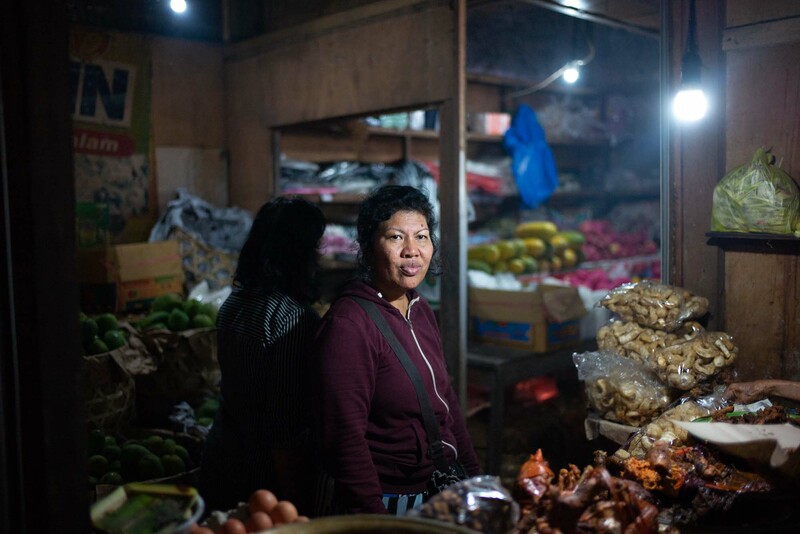 All tours take place at the Ubud traditional market (Pasar Ubud) in the heart of Ubud, Bali. Your guide will send you the meeting location when your booking is confirmed. All tours are private (meaning no mixed groups). Group size will be from one to four people (4 is the max). Tours are open to photographers of all experience levels who have a passion for street photography. Price: donation-based. Yes, you read that correctly. How much you donate and to who is up to you :-). See our Donation Partners. Click below to check availability and reserve your spot. 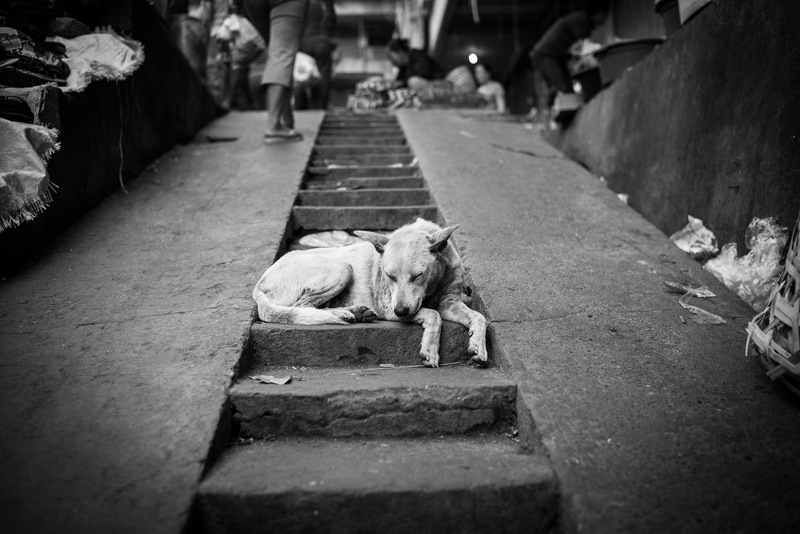 For any questions, please email Mark@BaliStreetPhotographer.com. By the way, what is street photography? Here’s our list of what to do in Ubud. 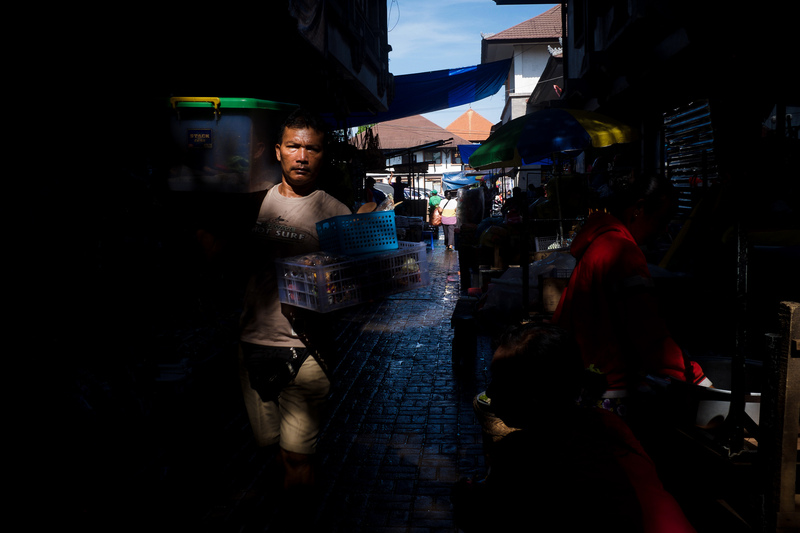 The traditional shops and markets (pasars) are the veins of the community. Food, tonics, hardware, and spices are not the only “goods”. In the pasars, the latest news and life updates are done face-to-face in real-time. I thoroughly enjoy being in the pasar. Almost every village will have one. 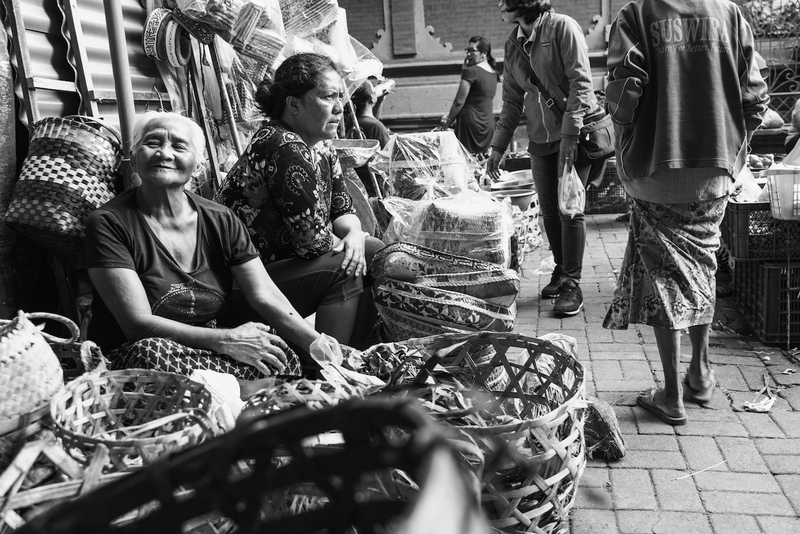 Even in the most touristy of markets, you will see Bali as if time stood still. But, you must get there early in the morning. Experience Bali by being a part of it, even if it’s just for a little while. I like to call it ‘pasar-karma‘. Pasar-karma is when you sit down at a food stall (warung) for a kopi Bali, and the jamu vendor offers fresh pisang goreng (fried bananas). Or, when get the biggest toothy grin after asking one of the many banten (offerings) makers what kind of canang they have. My approach is spontaneous. I go with the flow. 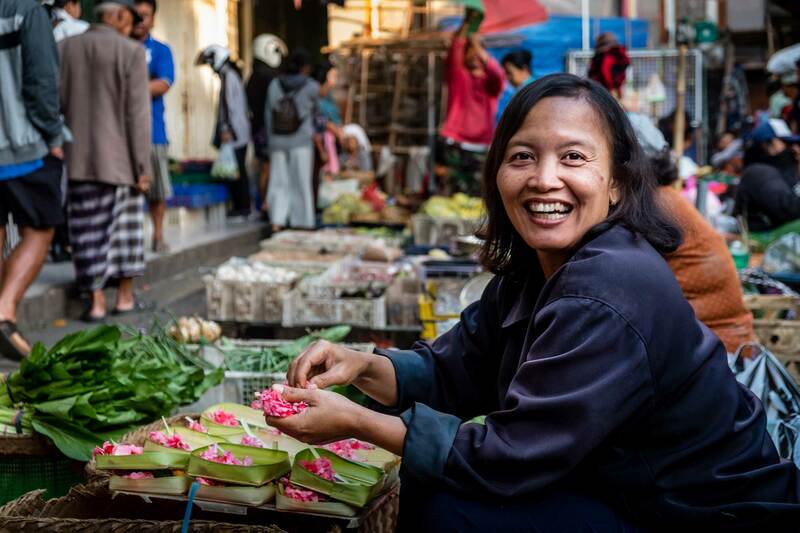 I say hi, chat, try some kue Bali (Balinese cake), and take photos along the way. I always give options, hints, and help. But, I don’t prescribe how or what. No prior experience or fancy camera is needed. Learn the rules, then have fun creatively breaking them all. Whether you take random snap shots or are on a photo essay mission you will end up with a priceless story to tell. I can help you with artist statements & pitches, photo selections & sequencing, and the next steps to get your work out there. There is no fee for these tours. Any donation you wish to give is purely voluntary & deeply appreciated. See our Donation Partners page. To see rather than look. To create rather than take. To explore rather than visit. To connect rather than separate. 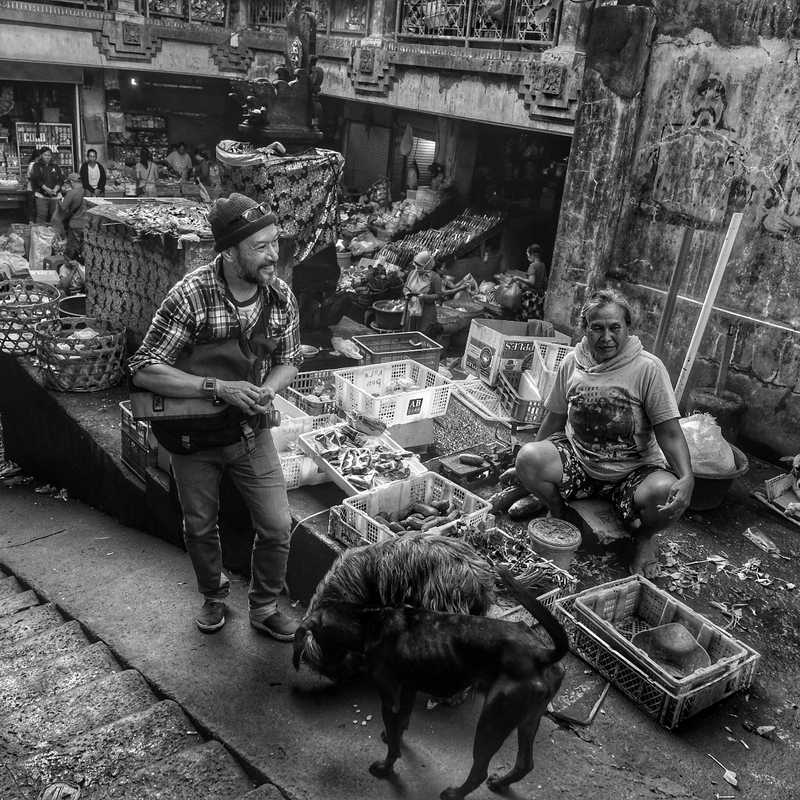 Ubud Bali Street Photography Tours with Mark L Chaves. Photo by Syahravi Dewanda. 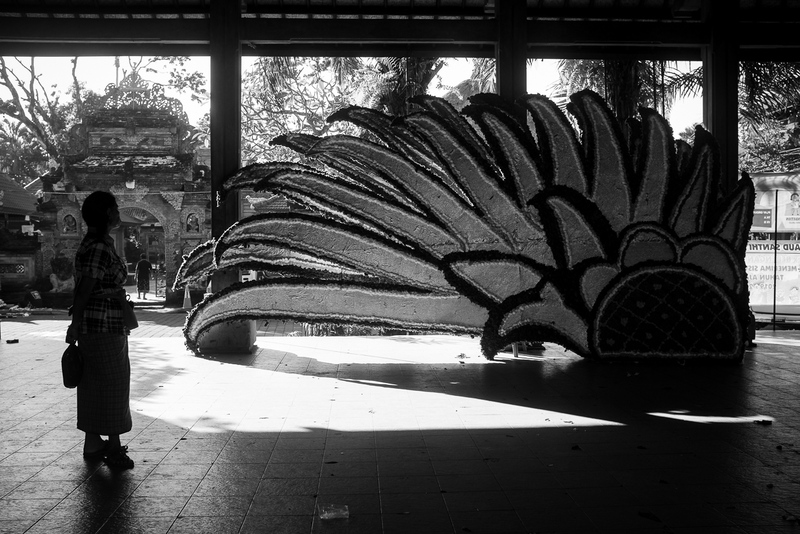 traveler & visual artist currently in Bali, Indonesia. Mark loves feeding stray cats & dogs, playing around with a camera, and wishing to be a rock star in his next life. 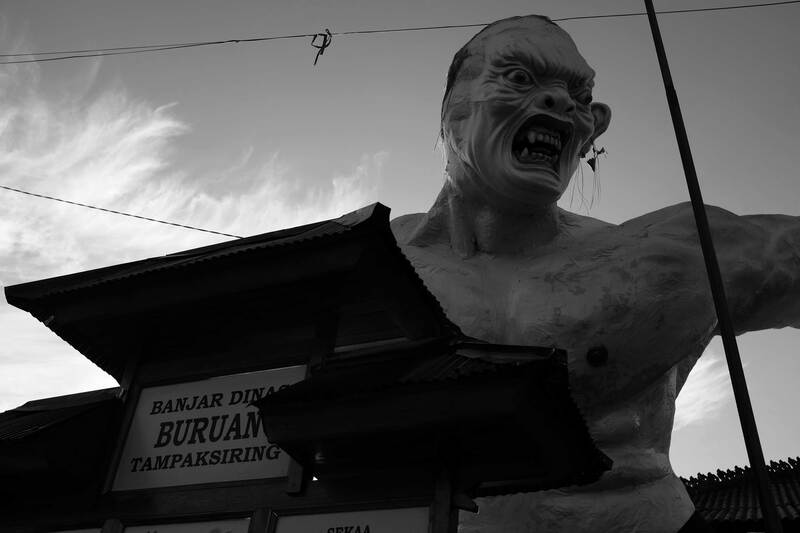 He would be very disappointed if you were in Bali and didn’t meet him for a coffee. Not all travelers are explorers. It takes a deeper sense of adventure and openness to experience what Bali has to offer beyond the beach and club scene. There is definitely more to Bali than meets the eye. To whet your appetite, check-out Mark’s Inside Bali photo essay published on Inkifi.com. New to street photography? Read What is Street Photography? What a great addition to our trip to have the guidance of a considerate local with us on our first day! 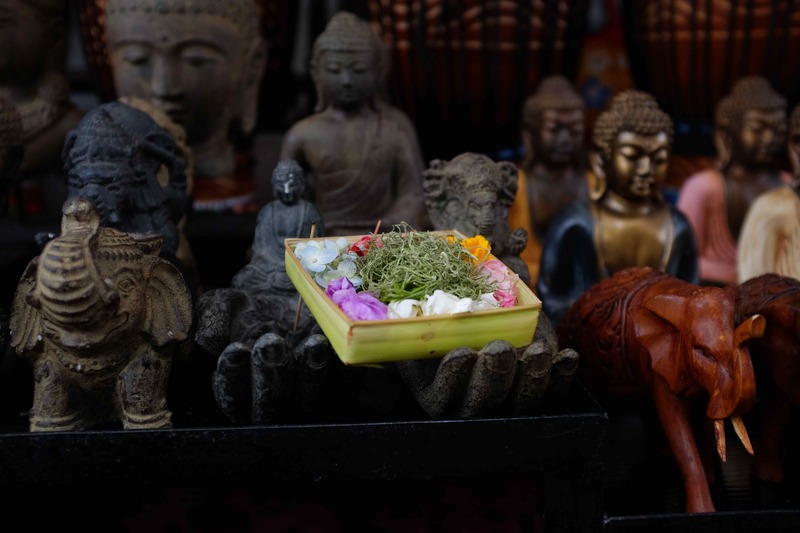 We’re grateful for the good fortune of starting our Ubud experience with you. Thanks for your insights and photographs. It’s a big part of our memory. 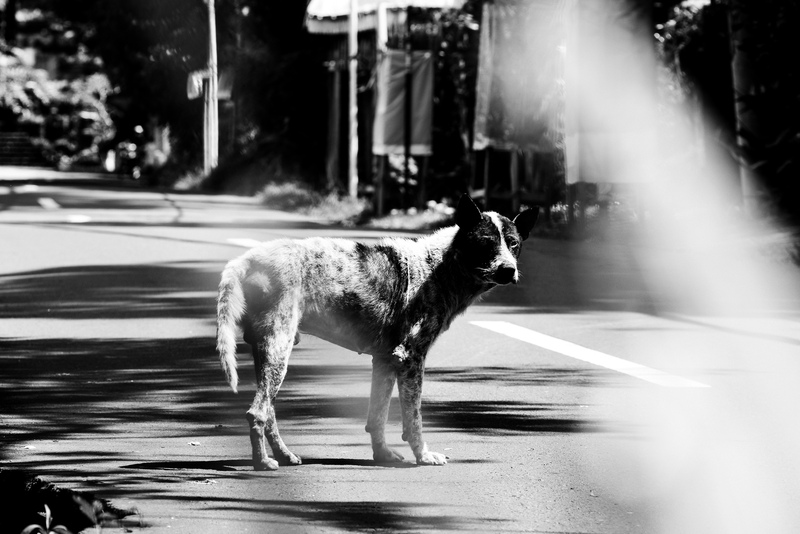 Want to promote Bali Street Photographer? Hit up our Branding page to get all the goodies.